It would be fair to say that cyclists in Israel are spoiled for choices. In a country no bigger than the state of New Jersey, there are an amazing 7 different climate zones. 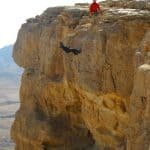 Cyclists can choose from the snowy peaked mountains of the Golan in the north to the barren deserts of the Sinai in the South, with just about everything else in-between. Despite such heavy competition, the most popular cycle route by far is the route that circumnavigates the picturesque Sea of Galilee, the lowest freshwater lake on Earth. The route around the Sea of Galilee is about 35 miles long and can be conquered by all the members of the family. The time it takes really depends on your own agenda. For the budding Lance Armstrong, it is possible to whiz around the lake in about two hours, but why do that when there is so much to do and see? 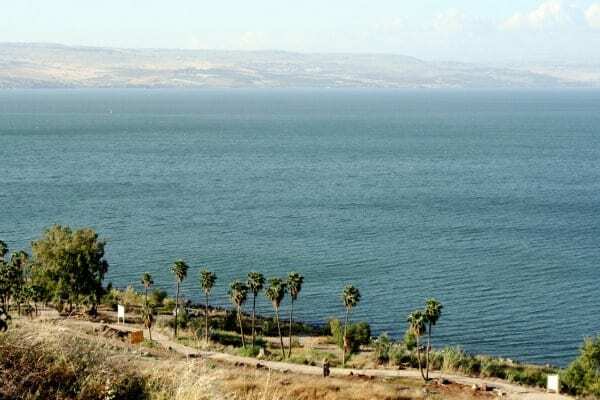 Indeed, the Sea of Galilee offers sufficient attractions that to even allow 6 hours for a gentle cycle, complete with breaks and sightseeing, will still mean having to miss out the several worthwhile sites. The best place to start the ride is the bustling and ancient city of Tiberias, nestled cozily on the western shores. Just about every hotel and hostel in Tiberias offers bike rental and it won’t be difficult to rent a decent enough mountain bike for around 80 shekels (approximately $23) for 24 hours use, smelly helmet included. Make sure to arrange for good hydration, as you can get very thirsty under the unforgiving summer sun. If you have time, Tiberias is interesting enough to have a good wander around in, with an eclectic mix of Roman, Byzantine, Ottoman and British architecture and ruins, testimony to its varied and bountiful history. Resist the temptation to lunch at any of the fine fish restaurants along the waterfront and head off in a clockwise direction mid-morning to beat the traffic and get the biggest hills out of the way first. The route you’ll take throughout will be a mixture of specially built pathways and standard roads. 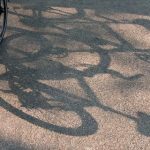 Over the last few years, there has been a substantial improvement to the cycle route, the aim being a continuous separate pathway the entire length of the lake. Although not finished yet, there is enough evidence of scenic tree lined paths, complete with benches and panoramic views to suggest that completion, and an even better cycling experience along the shores of this majestic lake are not that far away. 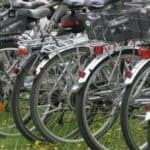 The bike ride can be tailored to a variety of interests, with plenty of spots around the Galilee to explore just seconds from the main roads. Bikers fascinated by world religions should stop at Rachel’s Tomb in Tiberias, where Rabbi Akiva’s wife is buried, or the churches around Capernaum where Jesus performed various miracles. The Byzantine and Ottoman ruins on the Berniki hill, above Tiberias’ Old City are perfect for history buffs, as is the peaceful cemetery at Kibbutz Kinneret, the resting place of Rachel the Poet and other famous early Zionists. Looking for something a little more lighthearted? 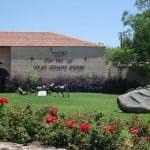 See ostriches at Kibbutz Ha’on, at the southern tip of the Kinneret (Kinneret is the Hebrew name. 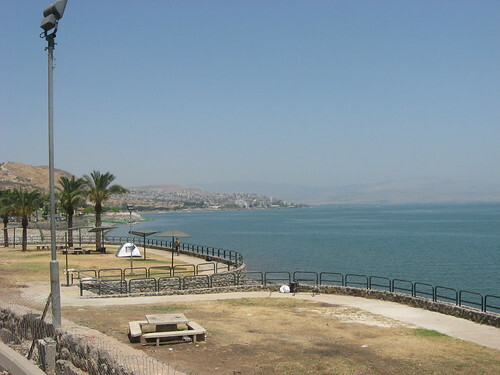 it’s also known as Lake Tiberias). The Sea of Galilee is also blessed with a number of public and private beaches to visit and camp in. The beaches on the eastern shore are highly recommended for selection, access and the great sunsets viewed across the skyline. Word of warning though, if you do intend to camp overnight: make sure you bring some strong earplugs and a hefty helping of patience as both public and private campgrounds enjoy a “vibrant” nature, i.e. noisy. Just as refreshing as a dip in the cold waters of the lake, is the low, even gradient of the last leg back to Tiberius and the thought of a rested behind. The sweet smell of citrus groves and banana fields make way for the alluring aromas emanating from the fish restaurants of Tiberias as you end the journey having built up a sizable appetite. Succumb to the smells and try the St Peter’s fish, found only in the Sea of Galilee, and gaze proudly upon the peaceful moonlit lake that you just conquered only hours before. This is a guest post from Mark Roberts. Mark lives in Baltimore with his wife, 2 kids and dog and enjoys camping, hiking and traveling with all of his favorite Source products. He has been blogging for two years. Mark’s top three travel spots are the Southern Coast of France, Thailand and Cancun.